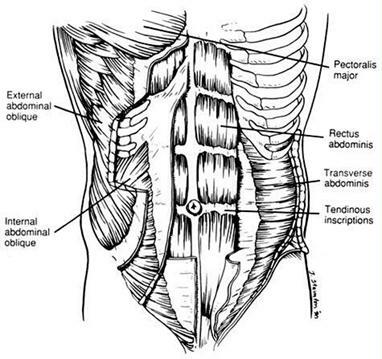 Everyone that has followed my writings on Abdominal muscles knows I have always questioned why these muscles, for some reason are treated any different than any other muscle. I asked Scott Howell, Phd. to do a search for me and this is what came up. Fibre types in human abdominal muscles. Histochemical muscle fibre composition was studied in biopsied from the four different muscles of the abdominal wall (rectus abdominis, RA, obliquus externus, OE, obliquus internus, OI, and transversus abdominis, Tr) in 13 normal human subjects (9 females and 4 males, age 24-55 years) undergoing gall-bladder surgery. Muscle fibres were classified as Type I, IIA, IIB or IIC on the basis of their myofibrillar ATPases’ pH lability. There were large inter-individual variations in fibre composition, whereas, in general, the differences between the different muscles were minor or non-existent. Mean fibre distribution ranges were 55-58% I, 15-23% 22A, 21-28% IIB, and 0-1% II C fibres. The least fibre diameters were similar for all types and muscles (range of means 50-54 micrometer) except for Tr in which the Type II fibres were smaller (mean 45 micrometer). There was a high correlation in the size of Type I vs. II fibres and Type IIA vs. IIB fibres in all layers. The oxidative potential (NADH-diaphorase staining intensity) appeared high in Type I fibres and low in Type II fibres, irrespective of subgroups. Thus, based on histochemical fibre composition, the different abdominal muscles appear to have a similar functional capacity. However, functional differences between individuals were indicated by the large inter-individual variation in muscle fibre distribution. I always laugh when I see people talking about strength training for the abs. Why you ask? For some reason they think the abdominal muscles are made of a different muscle than every other muscle in the body. Maybe you have fast twitch-slow twitch and abominal twitch. 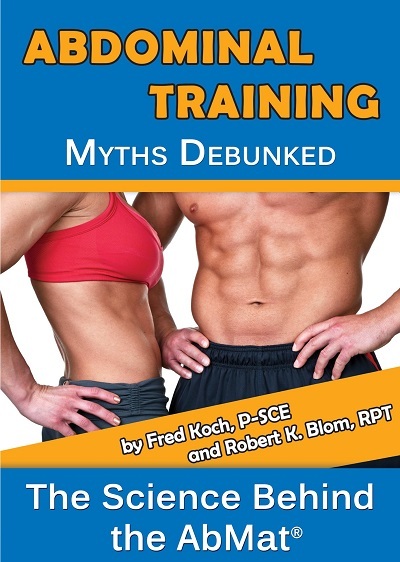 Here are two videos that should make you think abut what you have missed by all this fancy abdominal training the media feeds you.